I've finished reviewing the 1st Developer course (K10) last week and now I'm into the 2nd one. It is also something that I always see when using the Preview option and it's good to know more about this adaptive design approach in Kentico. To set-up a new profile, just go to Development applications -> Device Profile and supply the necessary fields or add a macro rule like current device max screen size should be between 0 and 768 pixels (width). Once done, if you go back to the list of Profiles - you will see a smart tip that the system checks the profiles from Top to Bottom. You can just rearrange this. Then go to the Pages application and select the page where you want the changes will be when viewing different devices. 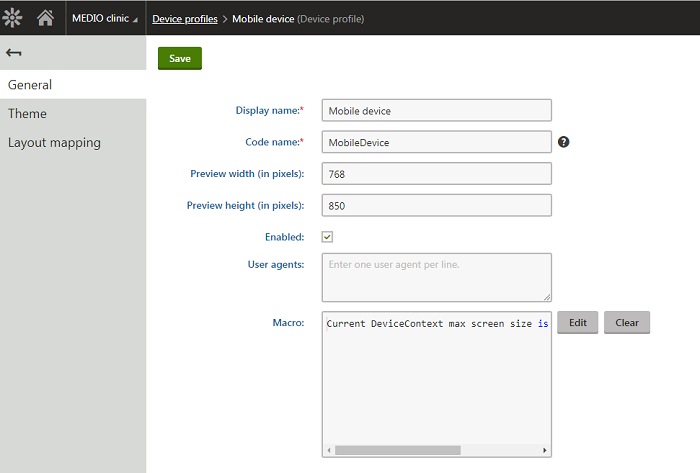 Like if you do not want the menu to be showing in the device profile you created (mobile device). You can adjust the CSS list menu web part and add a macro rule. 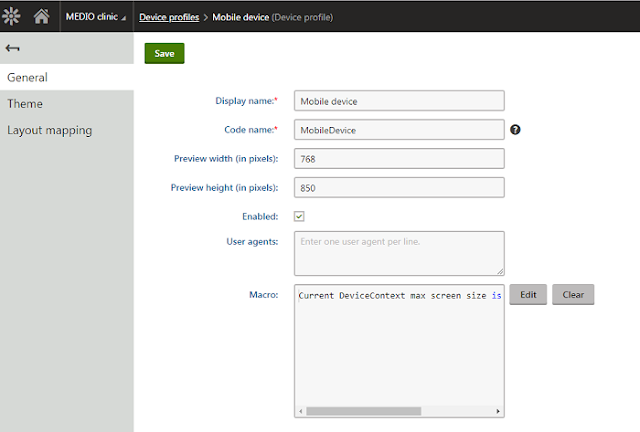 If you want to learn more about this feature, you can check-out Kentico's documentation about Developing websites for mobile devices. 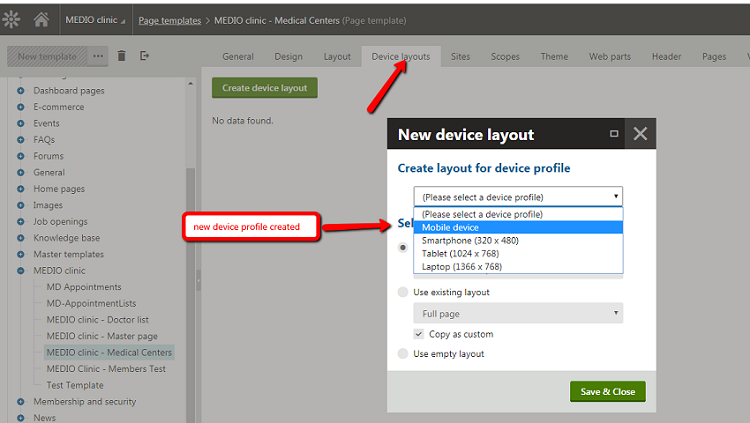 On another note, the lay-out mapping found in the Device Profiles looks interesting also. Hmmnn..